Apologies for the break in scheduled programming. Coming off from a month of much-enjoyed, post-bar funemployment & jumping back into working life was quite an adjustment. Sierra's a pretty normal girl living in Brooklyn, looking forward to summer break with her friends. Sierra can also draw, and then call spirits to embody her drawings and bring them to life. And it turns out this power is pretty important to save her ancestors' life work. Soon she's tracking zombies and other Shadowshapers all over New York City to get to the bottom of her powers, and her family's strong connection to spirits around them. I don't know why I waited so long to read this book, but at least I have a shorter wait now for the sequel. Sierra is a great heroine, and the magic system built around Caribbean mythology feels fresh and original. The secondary characters are intriguing and believable, and I can't wait to see more of them in the rest of the planned trilogy. 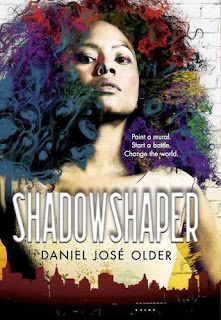 Finally, Daniel José Older writes a New York City that feels real, capturing the different neighborhoods well. The audiobook is also excellently narrated, and I can't imagine having read the book in another form. Anika Noni Rose embodies Sierra perfectly. I listened in a single sitting & I can't wait for new installments. Verdict: Affirmed. This is a fresh, inspiring new YA trilogy, and anyone who likes the genre should check it out. "Shadowshaper" by Daniel José Older, published June 30, 2015 by Arthur A. Levine Books. Audio narration by Anika Noni Rose, published November 1, 2015 by Scholastic Audio. This book feels mostly mis-marketed. Its summer release, its light & happy cover, its description of two best friends living enviable lives in New York City all scream light-hearted beach read. It is not light, and not overly happy. 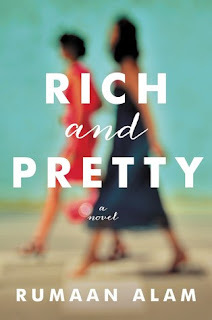 There are stakes in this story of childhood BFFs Sarah and Lauren figuring out how their friendship works now that they are adults living separate and rapidly diverging lives. It's not an incessantly light, happy book, but it is a true one. Alam describes the ins and outs of deep friendship with ease and intimacy. How you can love someone while you also hate their flaws more than you could with a blood relative or partner. How you can understand someone better than they understand themselves, but still be surprised by their decisions and actions. How you want what is best for your friend, but have to support them even when they don't listen to you. Sarah and Lauren navigate their changing friendship as they grow older, reaching different stages of their lives at different times. They decide what and when to tell their best friend, and what to keep to themselves. The core friendship is portrayed honestly and truthfully. Though, unfortunately it really is all the book has. There isn't much of a plot, and even time passes strangely. We check in with Sarah and Lauren weekly, then monthly, then after years go by without any real reason for the acceleration of time in the second half other than the absence of a true plot or stakes that would prevent such and acceleration. But neither does a plot exactly call for it. It was nice to check in with the characters at these points in their lives, but I wish they had felt more deliberately chosen or the pacing structured more consistently. Alam's writing is solid, with interesting descriptions and turns of phrase. The audio narration is good, though I would have preferred two narrators as the book shifts from Sarah to Lauren. It was sometimes difficult to determine whose thoughts I was privy to at any given moment, particularly because there is no indication of a new chapter beginning that I noticed. Overall, it was worth the listen for the deep character study, despite its structural flaws. Verdict: Jury's Out. In a year of strong reads, it's not going to make my top 10, or even 20. But I enjoyed getting to know Sarah and Lauren and think book clubs would find a lot to discussing in their different lives. "Rich and Pretty" by Rumaan Alam, published June 7, 2016 by Ecco. Audio narration by Julie McKay, published June 7, 2016 by HarperAudio. Back in April, I read "Jane Eyre" for the first time, just in time for Charlotte Bronte's 200th birthday. This was even more well-timed than I had originally thought, as publishers have also been putting out some new Jane Eyre-inspired works. See also, "Reader, I Married Him" and "Jane Steele." "Re Jane" is the incarnation I chose to read, and it turned out to be an excellent choice. Our Jane is half-Korean, half-American, living in Queens with her uncle and his family. She works in his uncle's store and is trying to figure out what to do after her post-college job falls through. Frustrated with her strict home life, she applies to and accepts a job as a nanny for Devon, the adopted Chinese daughter of two professors living in Brooklyn. Ed Farley, Devon's father, catches her attention. Through this job and ensuing developments leading to a trip to visit her extended family in South Korea, Jane discovers who she is, comes into her own, and decides what she wants from her life - much like the original Jane Eyre, though in a much more modern ending. This book gave me so many conflicted feelings that I had a friend start reading it while I was still halfway through so I'd have someone with whom to discuss these feelings/rant. Devon's mom Beth is treated completely unfairly for much of the book. She is a feminist, women's studies-focused professor, and this is commonly a topic of derision throughout the book. The underlying feminism in "Jane Eyre" was what won me over on that novel, despite plotting and character issues, so to see the issue disparaged in a retelling was extraordinarily frustrating, and even felt downright disrespectful to the spirit of the original at times. Directly opposite to the original, the characters in this book and their arcs eventually won me over. 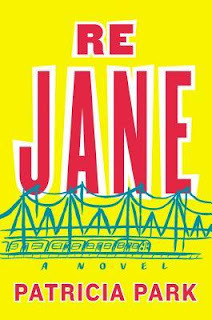 Jane here is naive, and young, and frustrating at times. Yet, she grows throughout the books, and because of her rough starting point, her growth feels both authentic and hard-earned. Her best friend Nina is strong, and independent, calling Jane on her nonsense. But most importantly, she also has real flaws. Like Rochester, Ed Farley's pretty lame. Devon is a well-drawn child, growing into a young adult with all the accompanying fits and growing pains. Unfortunately, the audiobook narrator here does a real disservice to Nina and Ed, giving them grossly exaggerated (probably made worse by my listening on double speed), stereotypical accents that distract from the story and their character development. So if that's a thing that will bother you, read this one in print. Ultimately, the ending brought this up from a 2.5 star review to a really solid 4. Without spoiling the ending, I felt that it stayed true to the feminism inherent in "Jane Eyre," adapted to a modern age and new setting. Verdict: Affirmed. Another great, gossipy summer read with deeper underlying themes. Stick with the characters, even when they're at their most frustrating. "Re Jane" by Patricia Park, published May 5, 2015 by Pamela Dorman Books. Audio narration by Diana Bang, published May 5, 2015 by Penguin Audio. Fredrik Backman knows how to pull on all my hearstrings. He did it first with "A Man Called Ove," and now he has done it again with "Britt-Marie Was Here." I can't wait to get off the holds list for "My Grandmother Asked Me to Tell You She's Sorry," so I can complete my Backman trifecta. 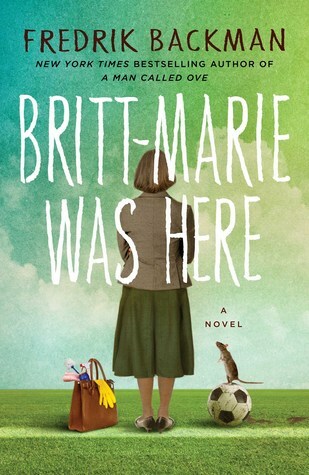 "Britt-Marie Was Here" is the story of Britt-Marie, a woman who is at a crossroads in her life after the conclusion of her marriage. Her life was previously structured around and defined by caring for her husband, so without those daily routines and responsibilities, she is adrift. But her personality does not lend itself well to idleness or relaxation. She marches into an unemployment center, and winds up with a job in the small, economically devastated town of Borg. As the recreational director for the village, she comes to know its quirky inhabitants and find a place for herself amid their lives. Like Ove, Britt-Marie has a certain amount of the curmudgeon in her, though not quite as strongly as Ove. She is slow to let others into her life, but once she does, she is a fierce protector and advocate for them. She takes her job seriously, and is able to find new loved ones to care for to replace what she lost in the disintegration of her marriage. Perhaps best of all, the ending was utterly different from "Ove," and delightfully ambiguous and fulfilling (as I mentioned in my spoiler-tagged Goodreads review). Britt-Marie was a wonderful character with whom to spend an afternoon, and I look forward to seeing her pop up again in "My Grandmother Asked Me to Tell You She's Sorry." Verdict: Affirmed. I'm officially here for all the Fredrik Backman books, and can't wait for his next. "Britt-Marie Was Here" by Fredrik Backman, published May 3, 2016 by Atria Books. Audio narration by Joan Walker, published May 3, 2016 by Simon & Schuster Audio.